The heroes of Neverwinter have just won a hard-fought campaign against Jarl Storvald in the frozen north around the Ten Towns and the Sea of Moving Ice—a campaign that saw one of their number fall. It’s time to head home; time to heal wounds and honor the dead. Unfortunately, a peaceful homecoming is not in the cards. 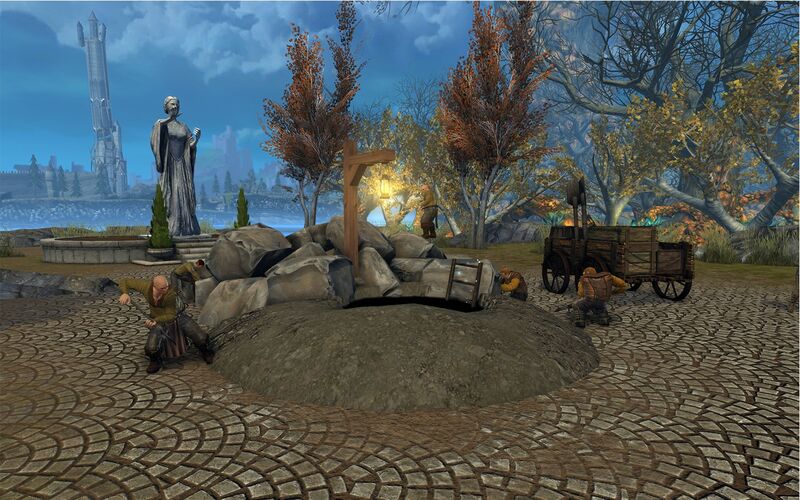 A new threat reveals itself during a ceremony to honor the heroes’ fallen comrade: a cabal of wizards who called Neverwinter home before vanishing during the Spellplague. 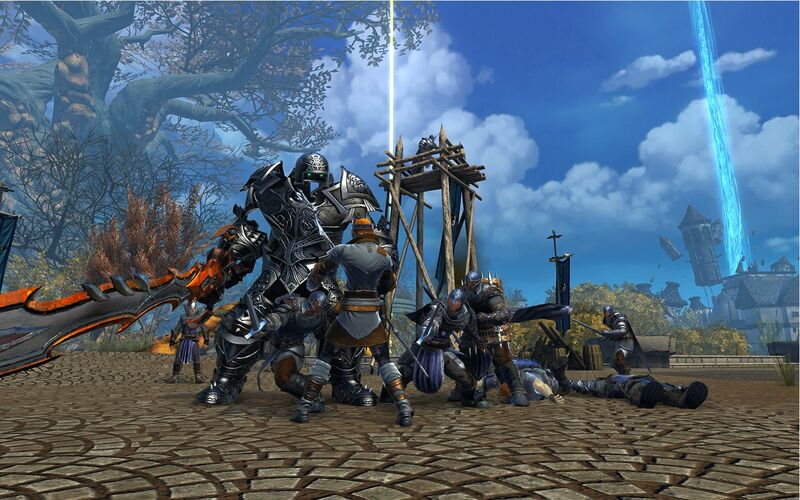 They have returned to the city with newfound powers and allies and are determined to take Neverwinter for themselves. The main battle against the threat takes place in the River District. 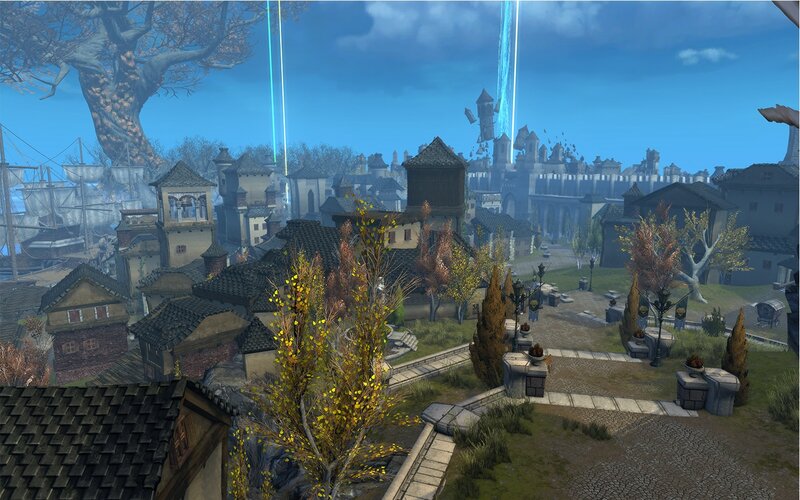 Prior to the Spellplague, the River District was home to many of Neverwinter’s wealthiest citizens. Now it is the site of Lord Neverember’s next effort to reclaim and rebuild the city. Your hero has two goals: Stop the threat and ensure that the reclamation of the district succeeds. Both the campaign and the River District zone were designed with player choice in mind. Defeating the members of the cabal of wizards requires investigating each wizard’s past ties to Neverwinter. Each investigation requires you to speak with characters your hero worked with in the past and to visit iconic locations throughout the city. You are free to choose the order in which you decide to investigate and defeat each of the wizards. The gameplay in the River District zone revolves around Lord Neverember’s new reclamation effort. As the wealthiest district in the city prior to the Spellplague, the ground beneath the River District is riddled with the dungeons, crypts, and treasure vaults of the city’s richest citizens. In more recent times, the sewers beneath the district have been used by the Nashers to hide large stockpiles of weaponry. Neverember has established a series of guard posts throughout the district to secure it. Each of these posts protects a dig site worked by civilian laborers responsible for recovering the lost riches beneath the district. The wizards periodically send their minions to attack these locations. Guard posts and dig sites can be overrun and destroyed. That’s where your hero comes in. As you defeat enemies in the district, you accumulate Reclaimed Resources: Reclaimed Magic, Reclaimed Weapons, and Reclaimed Riches. Once enemies have been cleared from an overrun guard post, these resources can be used to rebuild and upgrade both the guard post and nearby dig site. Active dig sites serve as entry points to a series of underground maps that have randomly determined enemies guarding them. These activities—rebuilding guard posts, activating dig sites, and exploring the treasure vaults beneath the dig site—grant rewards, including currencies used to progress the campaign. Large amounts of Reclaimed Resources can be turned in at a treasure ship docked on the riverfront for even better rewards. The dynamic nature of the zone means more choice when it comes to completing dailies for the campaign. Rather than having several rotating quests that must be completed each day, the bulk of your daily credit simply comes from playing in the zone. You can play the territory control game with the guard posts, activate and explore treasure vaults at the dig sites, participate in heroic encounters to stop wizard rituals and counterattacks, or just defeat enemies throughout the district. Any and all of these things grant credit toward daily campaign progress. I look forward to hearing your thoughts on the River District.